In 1522, the very night they were wed, Royce Morgan and his new bride, Beatrice Godwin, were murdered on their way home to Lacybourne Manor. After the cruel deed was done, a local witch came across their bodies, witnessing firsthand the tragedy of star-crossed lovers. Vowing that Royce and Beatrice would someday uncross those stars, using magic mixed with murder as well as true love, she linked their spirits together with hers (because someone had to protect them) forever… or until their reincarnated souls find happily ever after. Now arrogant, forbidding Colin Morgan lives at Lacybourne, knowing, from lore (as well as the portraits of Royce and Beatrice that hang in Lacybourne’s hall and the small fact that he looks exactly like Royce Morgan), that he is the reincarnated soul of his ancestor. One stormy night, flighty, free-spirited, scarily kind-hearted Sibyl Godwin comes to Lacybourne and it doesn’t escape Colin’s notice that Sibyl is the spitting image of Beatrice. 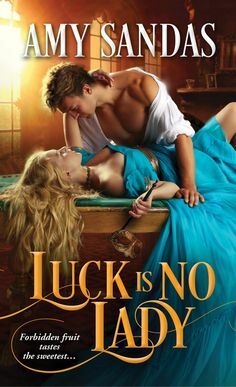 However murder, magic, a warrior’s heart beating in a modern man’s chest, a woman bent on doing good deeds even if they get her into loads of trouble, a good witch whose family has vowed throughout the centuries to protect true love, distrust and revenge make a volatile cocktail.